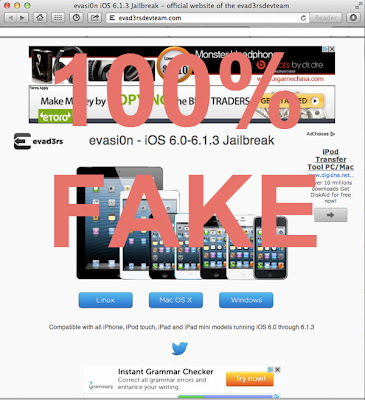 Cybercriminals have definitely been riding the buzz around the supposed jailbreak 6.1.3 tool. It’s presumed to be called “Evasi0n iOS 6.1.3” and it’s expected to be released any day now. Not surprisingly.